The CITY Issue Vol. 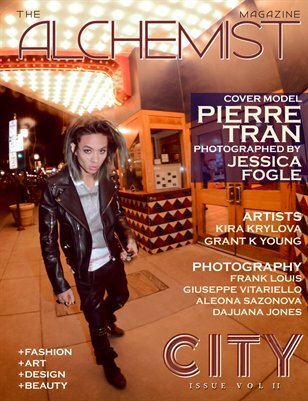 II of The Alchemist Magazine features model Pierre Tran on the cover photographed by Jessica L. Fogle. The issue also features photography editorials by: Frank Louis, Giuseppe Vitariello, Aleona Sazonova and Dajuana Jones. Featured Artists: Kira Krylova and Grant K Young.